Our website is automatically set to allow cookies as this ensures the best possible experience. 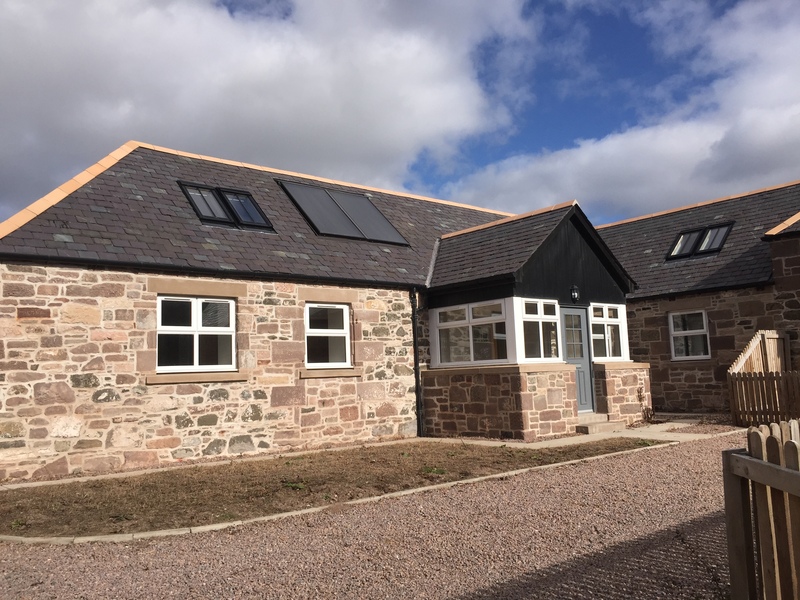 5 Bdrm Terraced Dwellhouse (converted steading). Ground flr: Porch. Hall. Lounge/Dining rm/Kitch on open plan. Family rm. 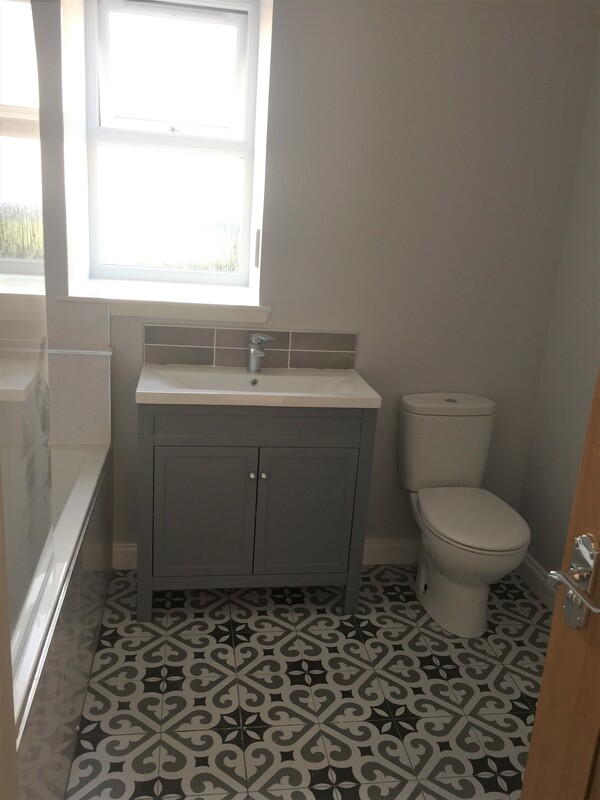 3 Bdrms 1 with ensuite shower rm. Bathrm. 1st flr: 2 Bdrms (CT Band - TBC). Double Garage. Parking. Prices from £325,000 Entry by arr. Viewing 01561 361303 or contact solicitors. 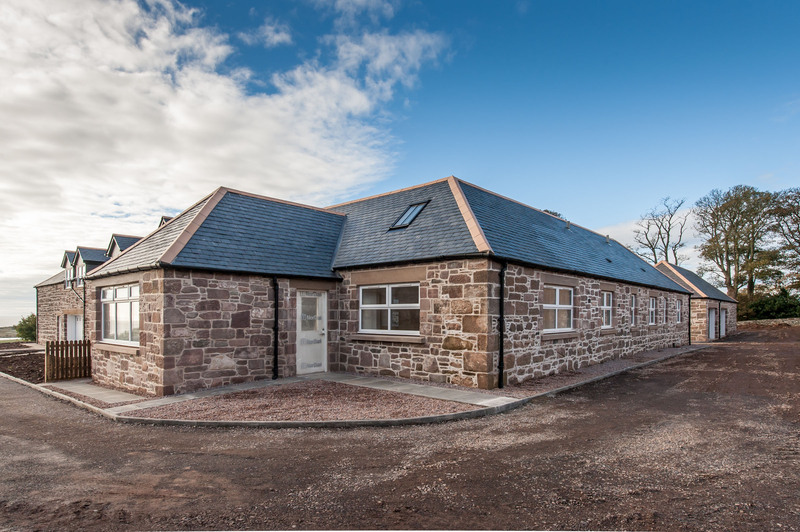 This superb new house is part of an excellent and imaginative conversion from the original Farm Steading buildings by renowned local builder G.F Bisset of Inverbervie, and incorporating all the best of modern living. 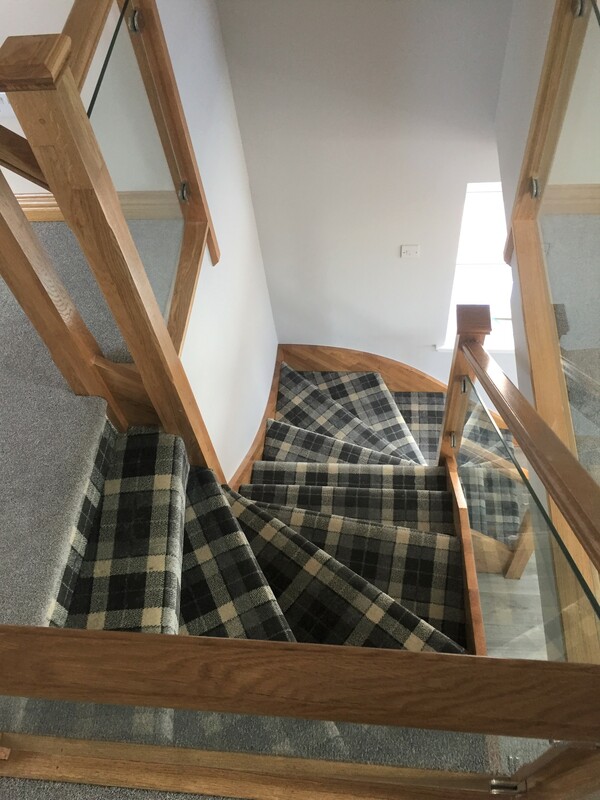 Located 36 miles south of Aberdeen, and 5 miles north of Montrose, the house is set in a lovely location, with splendid views over St Cyrus Beach, and Nature Reserve, one of the best beaches on the coast south of Aberdeen. 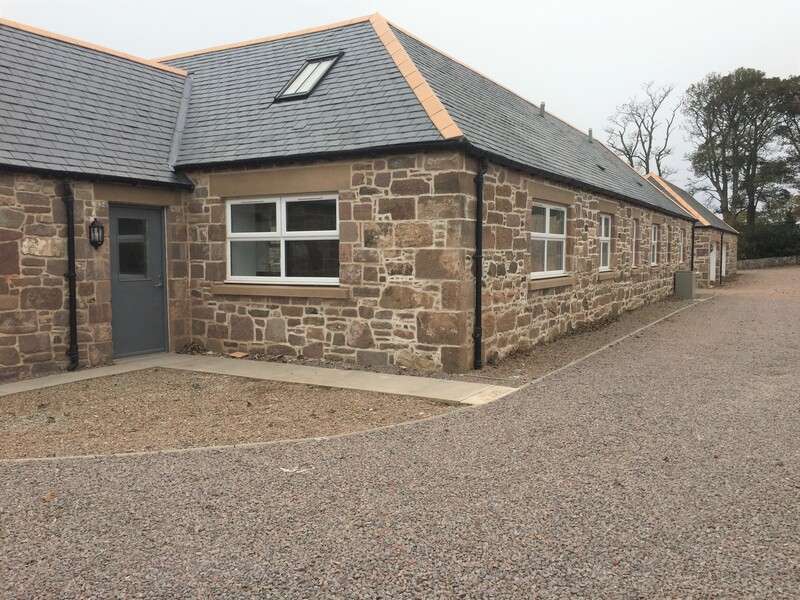 The village of St Cyrus is 1 mile to the north, with shop, hotel, Primary School, Church and local amenities. 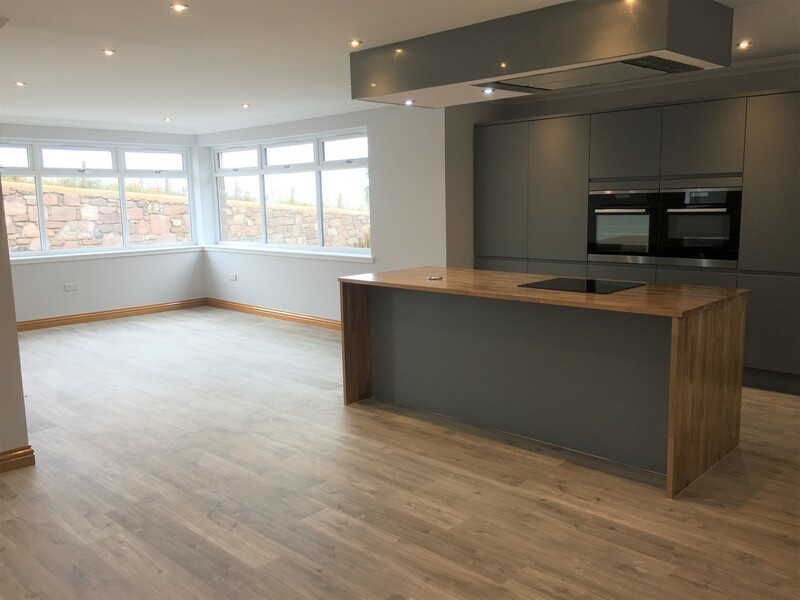 The house has been completed to the finest of standards, with top quality kitchen and bathroom, extensive use of natural wood throughout and high standards of insulation and heating including underfloor heating and solar panels. Externally, the original stonework has been carefully restored to bring out the full character of this excellent property. 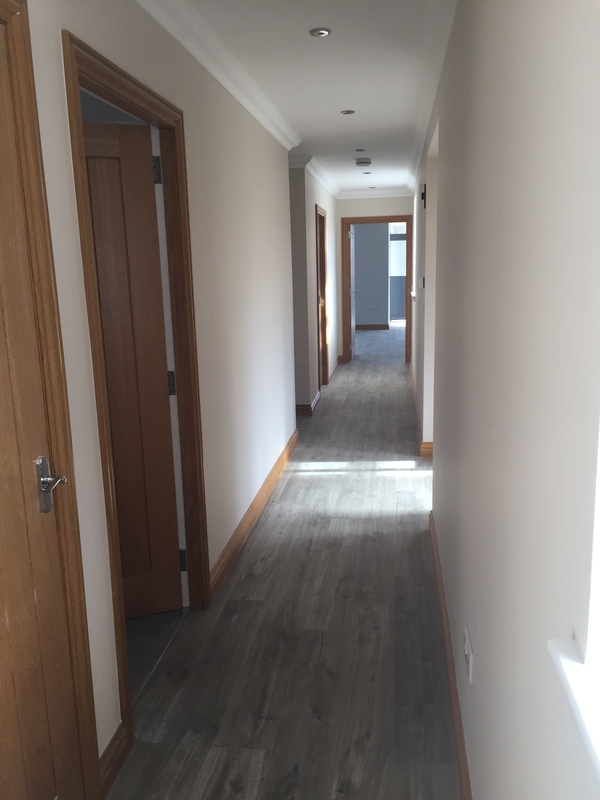 ACOMMODATION: Ground Floor: Porch, Hall, Lounge, Kitchen/Dining Room, Family Room, Master Bedroom with en-suite Shower Room, 2 Further Bedrooms, Bathroom First Floor: 2 Bedrooms OUTSIDE: Gardens to the front and side. Large Garage adjacent to the house. Hall: Good-sized Hall leading to all accommodation. 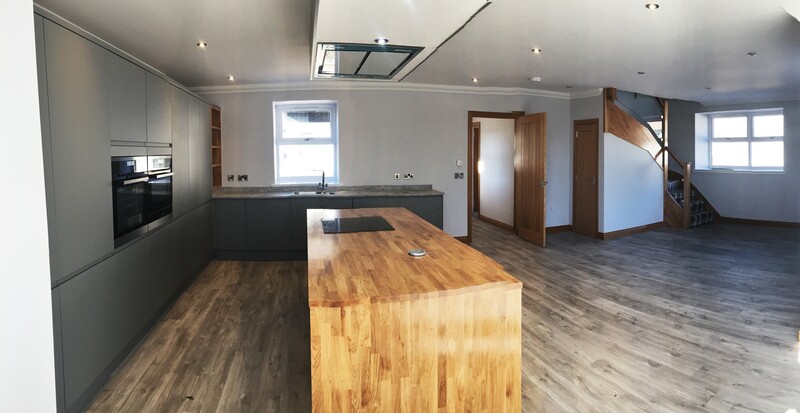 Lounge /Dining/ Kitchen: (8.6m x 4.75m) Spacious Lounge on open to the Kitchen/Dining Room with window to the rear and window to the side. 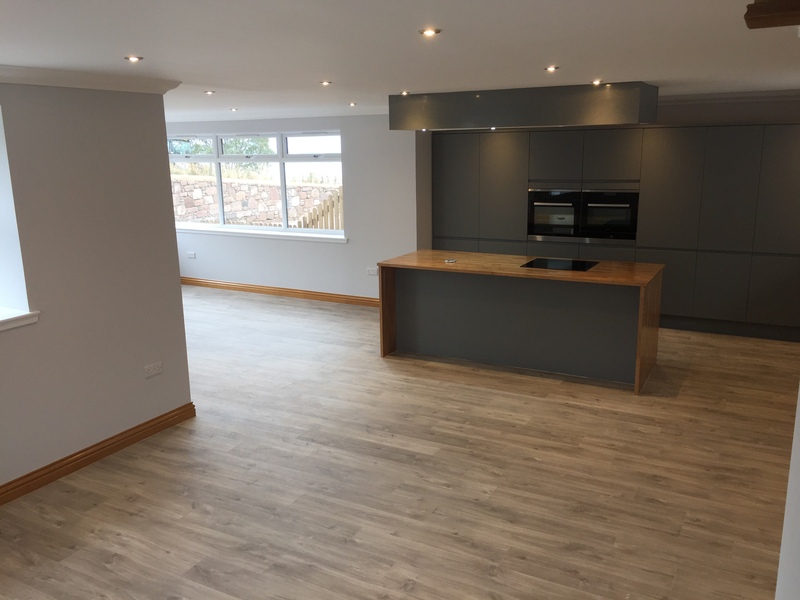 Superb fitted Kitchen on open plan to the Dining Room with window overlooking the courtyard. 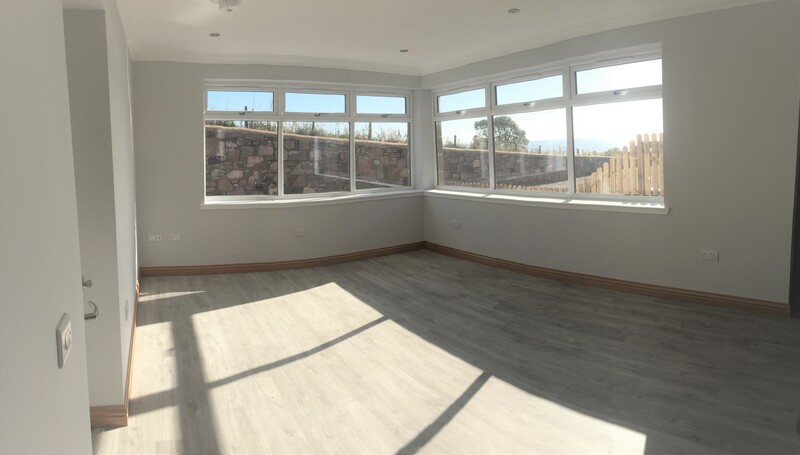 Family Room: (4.1m x 3.7m) Family Room with large corner window giving views towards the sea. Door leading to the garden. 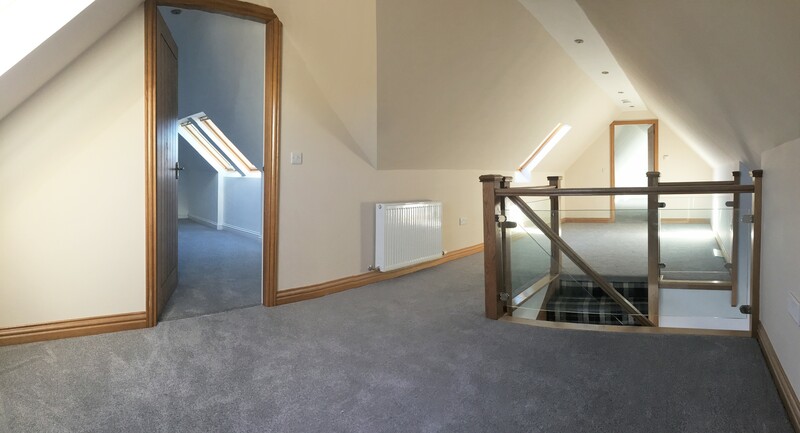 Master Bedroom: (4.9m x 3.6m) A generously sized Master Bedroom with window to the front and further window to the rear; 2 fitted double wardrobes. En-Suite Shower Room: Stylish en-suite Shower Room with walk-in shower, wash hand basin and WC. Bedroom 2: (3.3m x 3m) Good-sized Bedroom with window to the rear; Fitted double wardrobe with mirror doors. Bedroom 3: (3.3m x 2.9m) Lovely Double Bedroom with window to the rear; Fitted double wardrobe with mirror doors. 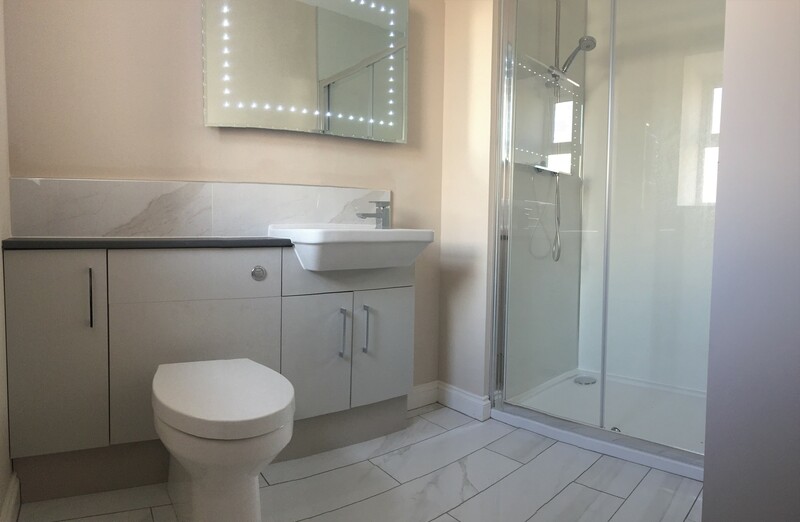 Bathroom: (3.3m x 2.9m) Luxury Bathroom with bath, wash hand basin and WC; Window to the rear. 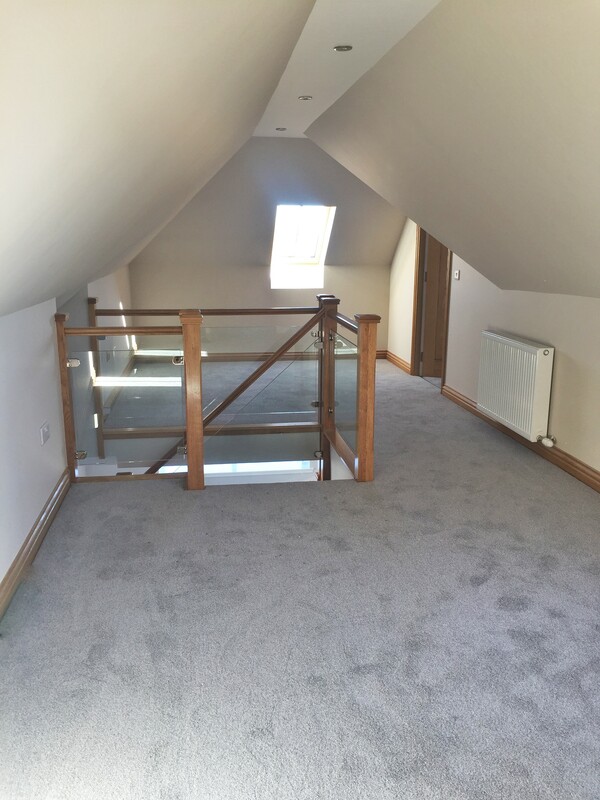 First FloorStairway from the Lounge leads to a spacious landing ideal as a Study or Playroom area. 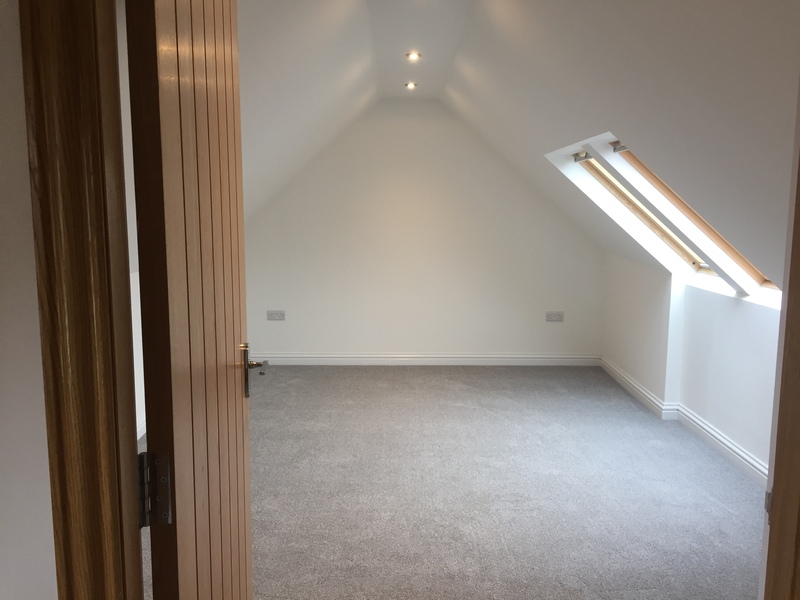 Bedroom 4: (9.28m x 3.0m) Large double Bedroom with fitted wardrobe; 2 velux roof windows. Bedroom 5: (4.94m x 3.0m) Double Bedroom with 2 Velux windows. SPECIAL FEATURES Quality finishing throughout. Oil central heating with underfloor heating on ground floor and solar panels. Fully up to date insulation and high performance doors and windows. OUTSIDE Gardens to the front and side. Large Garage adjacent to house. 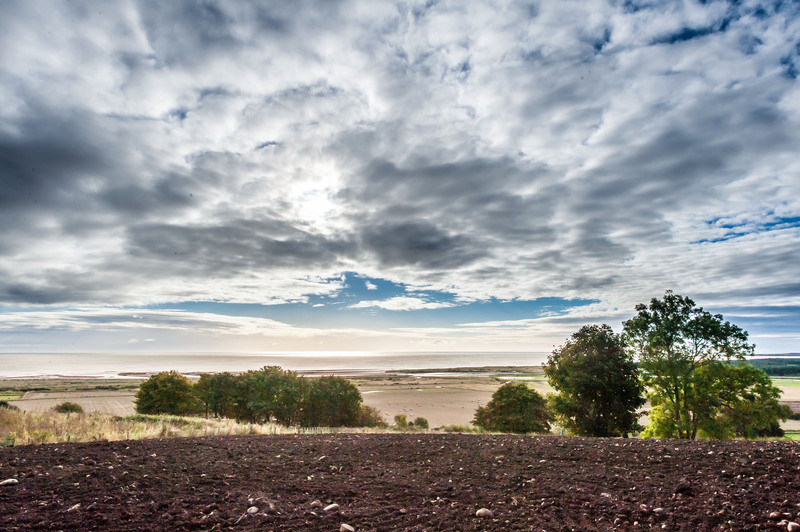 Share this property with friends or family to help you decide what to go for! Get all the information you need right here. The foregoing particulars are being distributed on behalf of the Selling Solicitors by Aberdeen Solicitors' Property Centre Ltd. of 40, Chapel Street, Aberdeen AB10 1SP (Tel: 01224 632949). Whilst the particulars have been prepared with care and are believed to be accurate, no liability for any errors or omissions therein or the consequences thereof will be accepted by the Selling Solicitors or Aberdeen Solicitors' Property Centre Ltd. © Aberdeen Solicitors' Property Centre and Selling Solicitors.